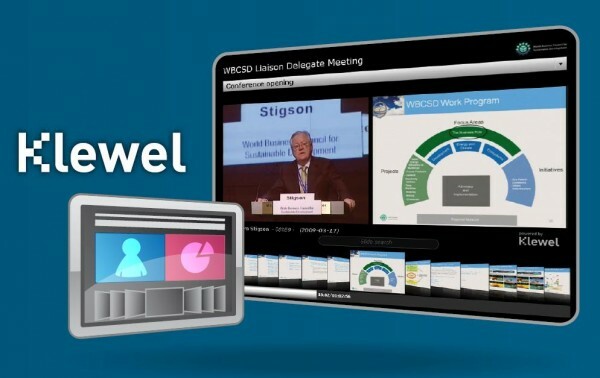 Klewel has signed a partnership with the CICG International Congress Centre Geneva to ensure congress webcasting services. The International Conference Centre of Geneva (ICCG) is conveniently located near the International Airport and major highways, the railway station, the international organizations, Lake Geneva and the historic old town. Your congress, seminar or exhibition can be hosted with optimum convenience and comfort in two distinctive conference centres. The CICG and CCV provide rooms with seating from 20 to 2200 places. They are ideally located just off the Place des nations (UN) and within easy reach of the principal international organizations and diplomatic representations in Geneva. Videos from conferences, seminars, and talks have become a standard way to ensure that even those who can’t attend an event are able to at least get access to the presentations after the fact. However, video recordings from conferences are often somewhat sub-par and even the best videographers can have a hard time capturing both the speakers and their slides. Klewel, a Swiss startup, has developed an innovative system to replay videos and slides. Geneva is the smallest of the world’s major cities. It is a world apart, with something for everyone. Distinguished by its unique geographical position in the heart of Europe, state-of-the-art technology, high-quality services, prestige and ranking as a world-class city, coupled with the advantages of a small town, Geneva is the ideal venue for your next event. Some call it the “world’s smallest metropolis”, others, the “peace capital”. Whatever image it brings to mind, Geneva has always been a popular destination. Better known throughout the world as the United Nations’ European headquarters and the head office of the International Committee of the Red Cross, our city draws thousands of people each year to events such as conferences, conventions and meetings.